Hope you all had a wonderful weekend mine was a busy weekend and now I am back to writing about something I have been using a lot this days. 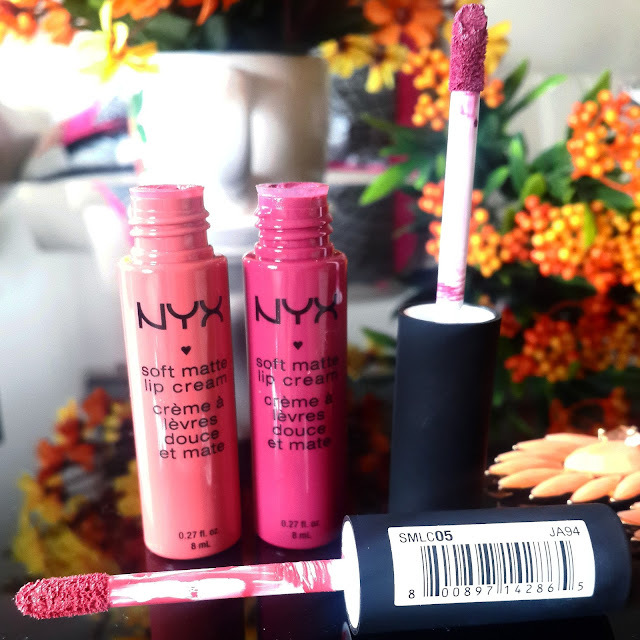 Nyx soft matte lip cream are something which you all must have heard about its such a popular product so I thought of reviewing it today. From such amazing shades I got my hand on two shades which are PRAGUE and ANTWERP. The lip shades are pretty attractive and are very reasonably priced. They come in plastic gloss like tube packaging having a doe foot applicator. The plastic tube is see through which makes it easy to identify shade. 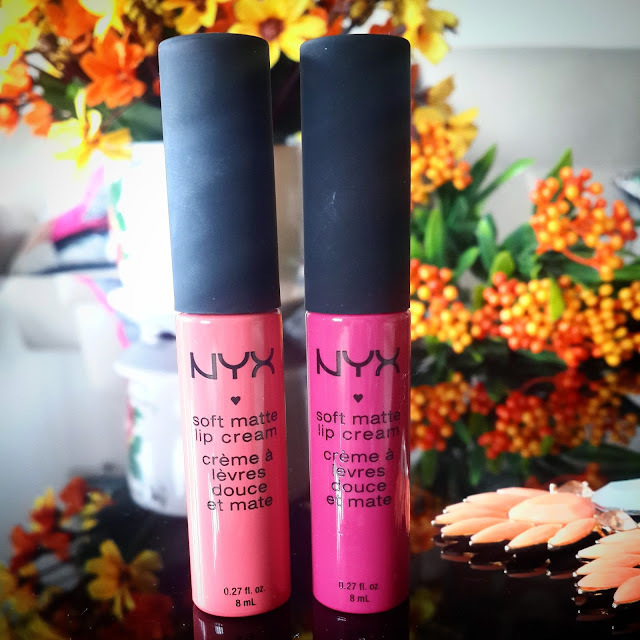 This are basically creamy lipsticks which gives matte finish once it dries off. 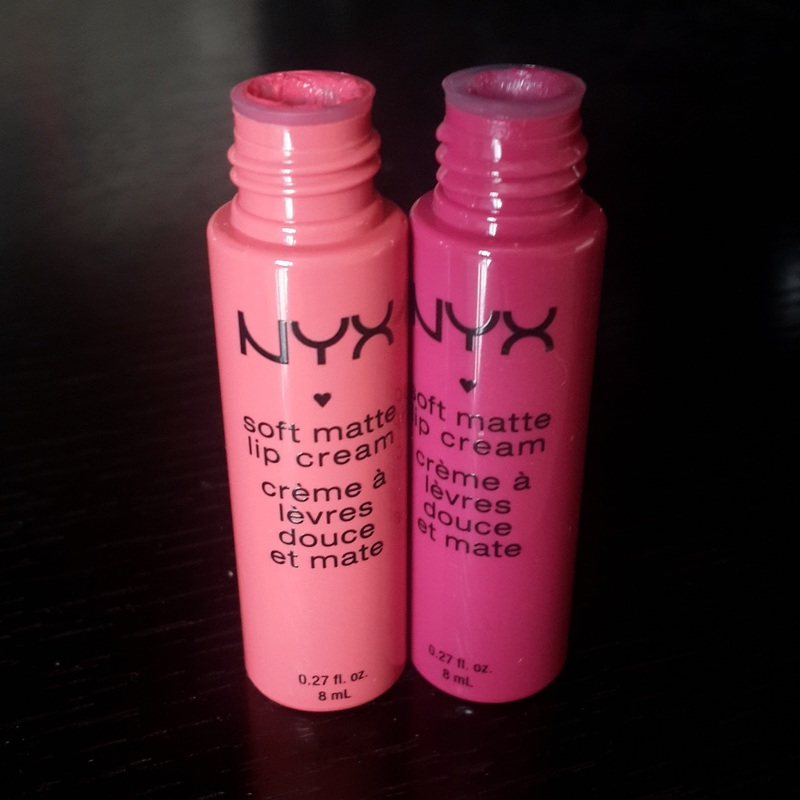 The texture is very creamy and glides smoothly on lips. Quite pigmented but you need 2 swipes for evening out application. If you want to build this color I would advice first to let it dry and then apply second coat because if you apply immediately it gives streaky application. They don’t feel sticky on lips but once it dries completely it does give that dry feel to lips. They are not moisturizing and I wish they had some hydrating properties. Staying power is for 3-4 hrs they don’t transfer but it almost fades off in few hrs you may have to carry it for touch ups. They all have sweet pleasant fragrance which is not at all annoying. Prague is mauve tone lipstick which will suit all skin tones. Its bit dark to carry it in day time but its beautiful purple mauvey shade one can have it. Antwerp is summer bright coral shade. It’s a pretty shade for girls having fair to medium skin tones. You can use this shade on everyday basis. You may have to build this color if your lips are pigmented as this one is thin in consistency. Antwerp fades out easily then Prague. This lip creams may feather and can accentuate fine lines on lips. Though I loved the formula the way it applies on lips they just feel soft, feather light giving full opacity. 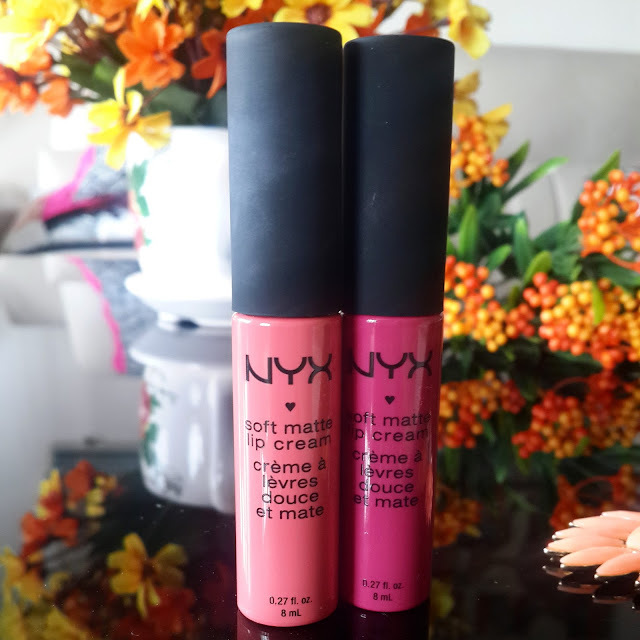 Overall recommended they are something different in texture than usual liquid or normal matte lipsticks. I am impressed with this creamy formula and loved the fragrance. 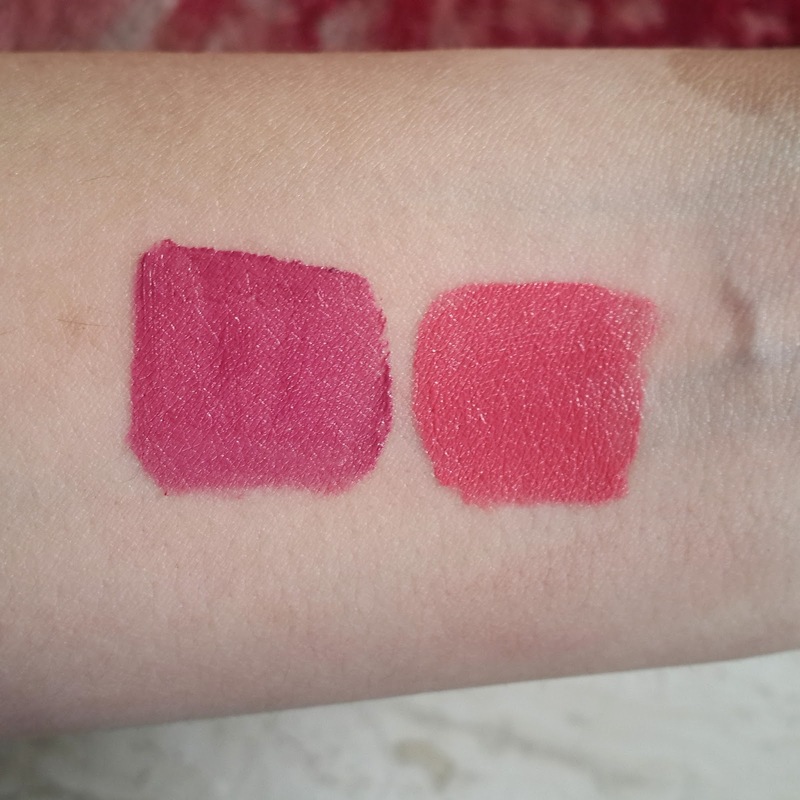 The only problem with this lip creams is they are bit drying and it can fade out easily. But they are quite reasonable and don't hurt your pocket. What do you think of this lipsticks? Have you tried them and which ones are your favourite? I really liked Antwerp looking forward to get this shades too!! !